Photo: Author and Nobel Laureate Elie Wiesel surrounded by books. 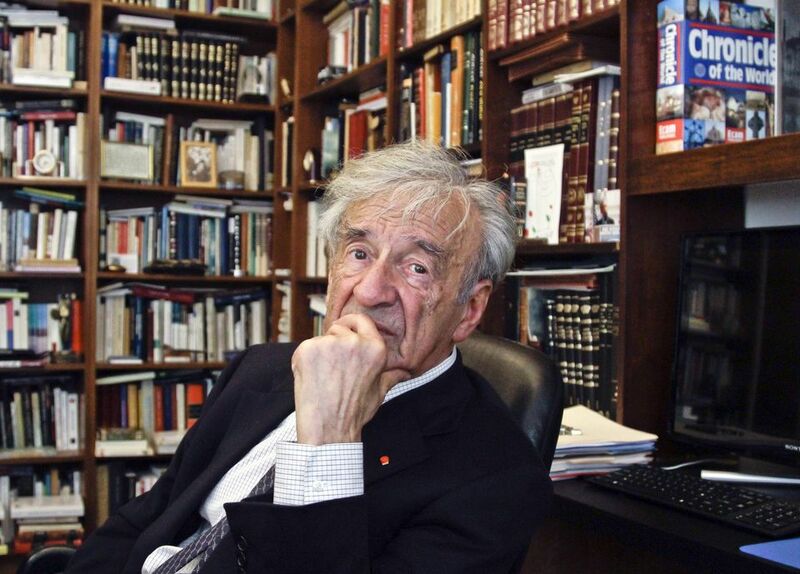 Author and Nobel Laureate Elie Wiesel surrounded by books. Author and Nobel Laureate Elie Wiesel described his reliance on storytelling as "the single theme that underlies all my work."